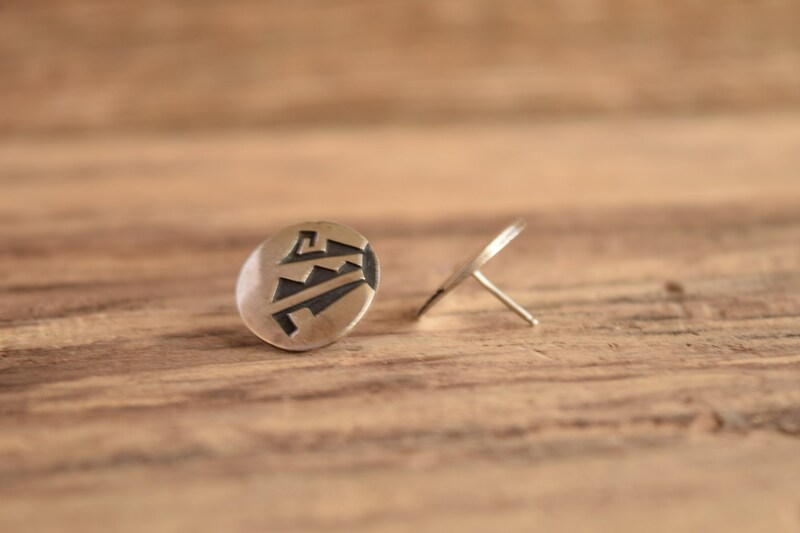 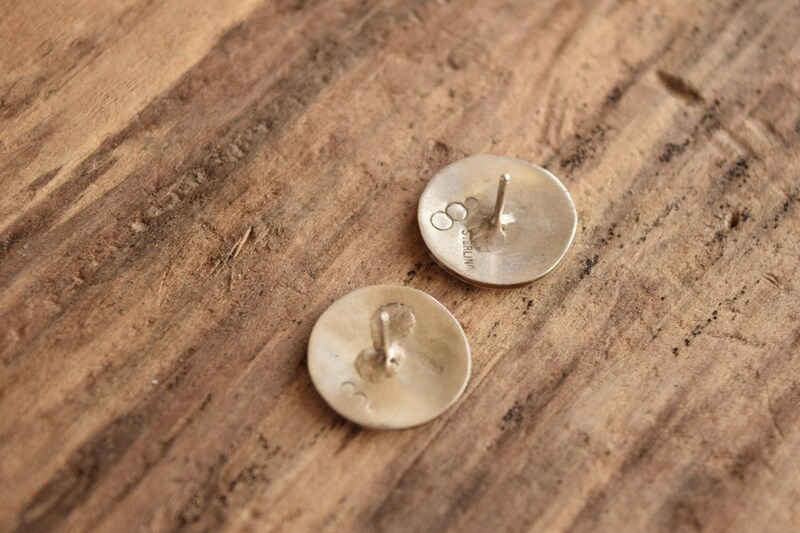 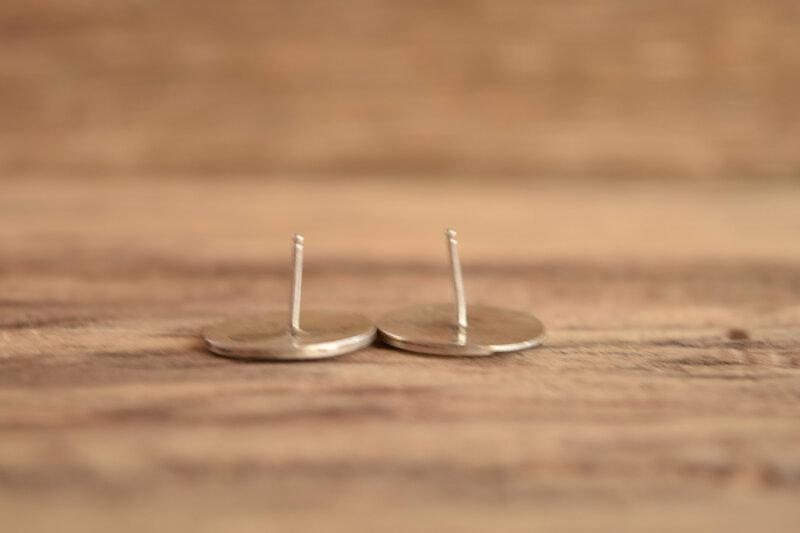 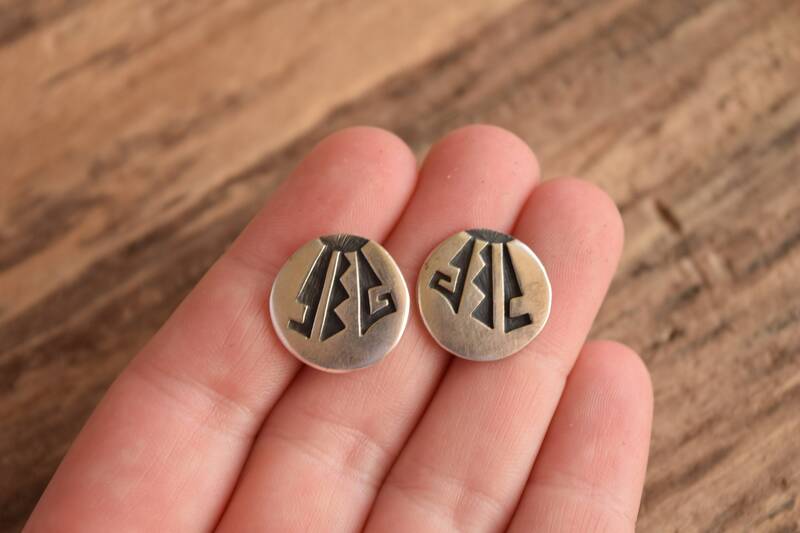 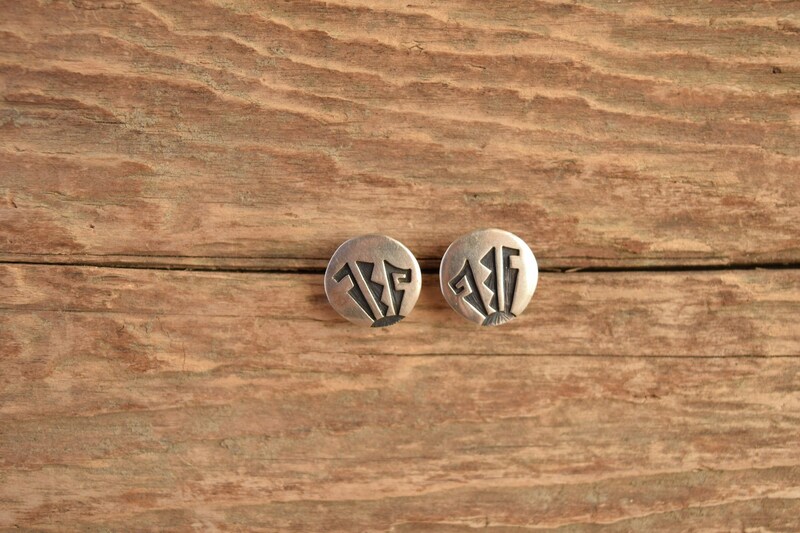 These disc earrings showcase brilliant etching silver work by a Hopi silversmith. 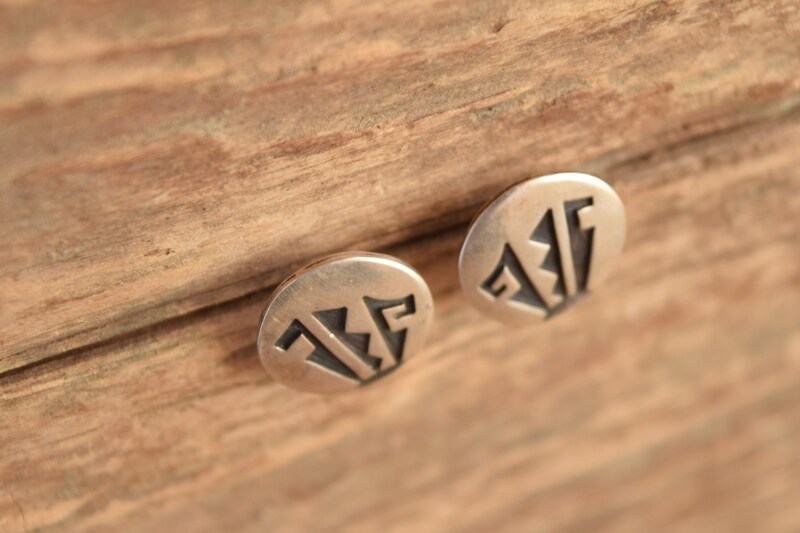 Their southwestern designs are subtle yet beautiful, making them the perfect for casual wear and even workdays. 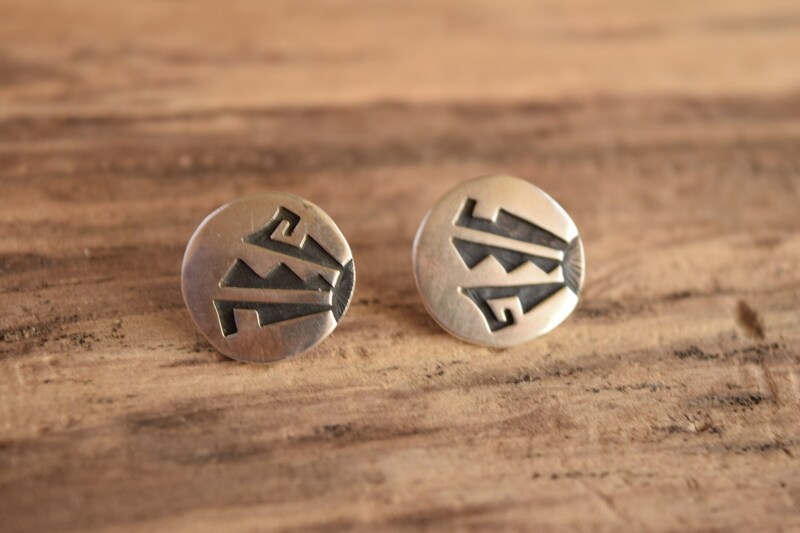 Condition: Great condition, some surface wear and the posts may have been bent at one time but are straight for wearing. 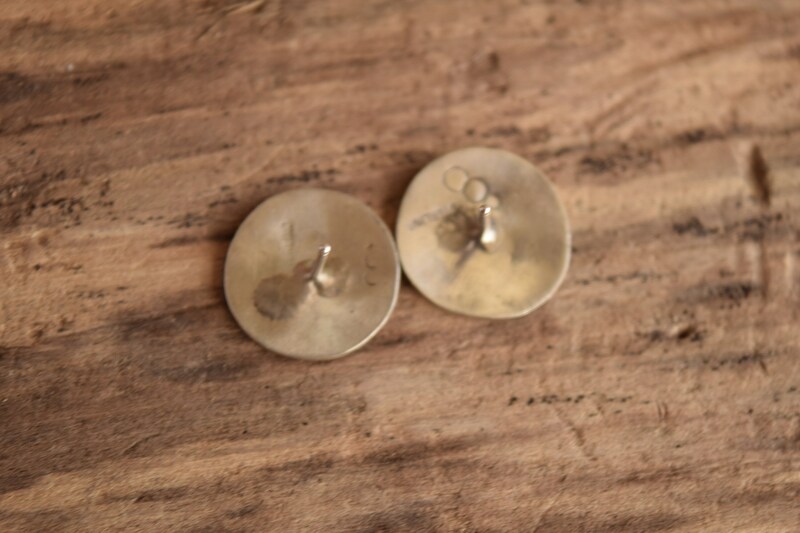 We've sanitized these earrings and will provide new ear backs for use.